Islander grew up with a calamansi tree in the backyard of her childhood home in Hawaii. When the tree bore a lot of fruit, her Daddy would pick a bunch of the “Philippine lime” and squeeze out the juice, making the whole kitchen smell so citrusy! Canned calamansi juice just isn’t the same—it tastes tinny—and doesn’t have that labor of love from Daddy for the family. Following the theory of the “Proust Effect” that certain scents trigger memories, calamansi juice is definitely a delicious reminder of Islander’s small kid time “hanabata days” in Hawaii and of her Filipino heritage. Don’t be fooled by the fruit, though. Calamansi looks like a mini tangerine when ripe. But it tastes super sour (like a lime) on its own and really needs to be juiced, diluted with water and sweetened with sugar. 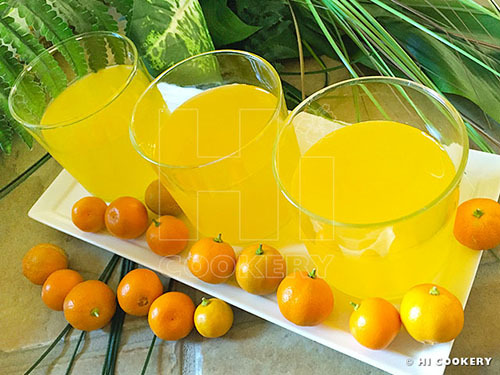 The recipe is quite simple and calamansi juice is very healthy and refreshing. 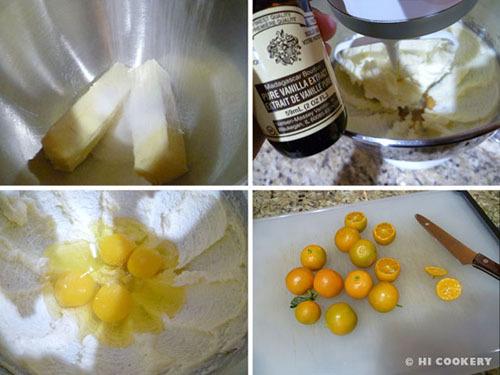 For a tart and tasty beverage for National Fresh Squeezed Juice Day, make calamansi juice. Wash the calamansi well and let dry. 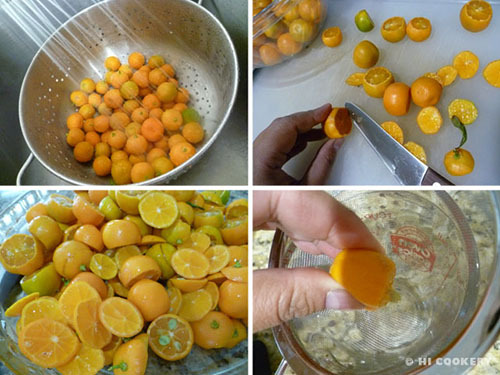 Cut the calamansi from the top to avoid slicing through the seeds. Squeeze the fruit in a strainer to make 1 cup of juice, discarding the seeds. 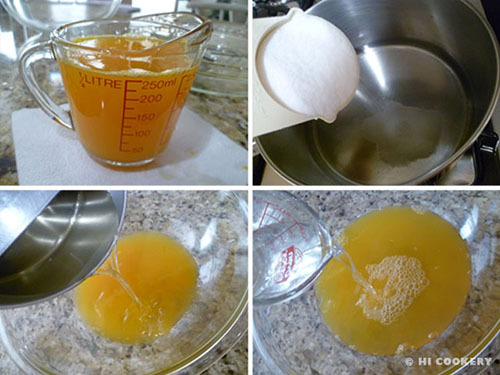 Place the juice in a large bowl or pitcher. In a small pot, bring 1 cup of water to a boil. 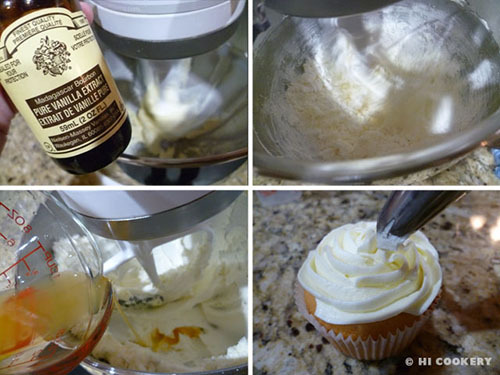 Stir in the sugar until it dissolves. Let cool completely. Add to the calamansi juice mixture. Stir in the remaining 3 cups of water. 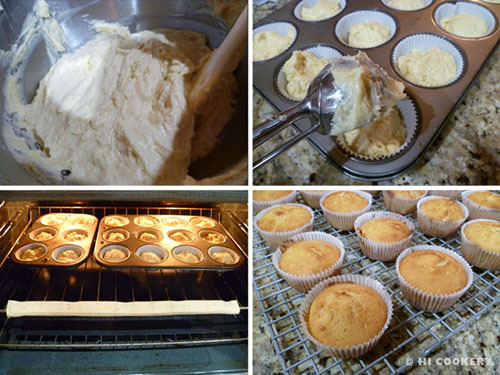 Cover and refrigerate until cold. Pour into glasses and serve with or without ice. 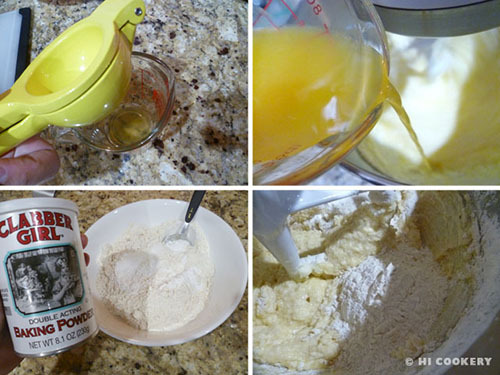 Sugar dissolves better in hot water. That is why we boil them together to make a simple syrup to sweeten the fresh squeezed calamansi juice. Use less water when diluting the juice if serving with ice cubes. 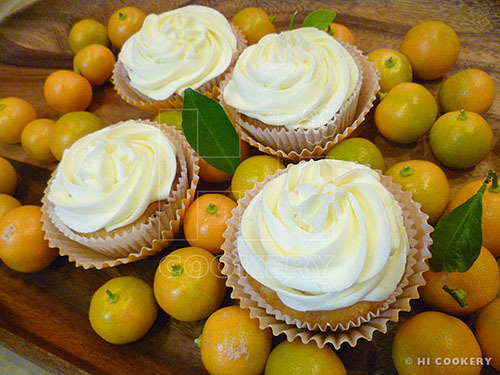 Calamansi is also known as calamondin. Learn more about its health benefits and culinary uses from Wikipedia.